I’ve only been crocheting since just before Christmas and have never written a crochet pattern, so please be forgiving, I’ll do my best to tell you what I’ve done! 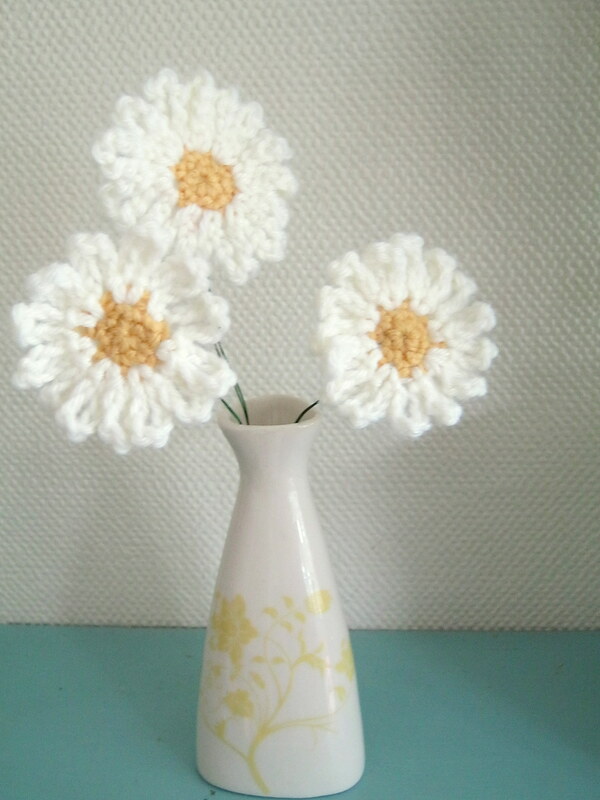 I used DK wool in yellow and white and a 4mm crochet hook. Also, I’m using UK terminology. First, with your yellow colour yarn make a slip ring. 1ch, 6dc into slip ring then ss into ch st. Pull the slip ring tight. 1ch then 1dc into st at bottom of the ch st. Work 1 dc in each of the next st (you should end up with 7dc in total). Ss into ch and fasten off the yarn. 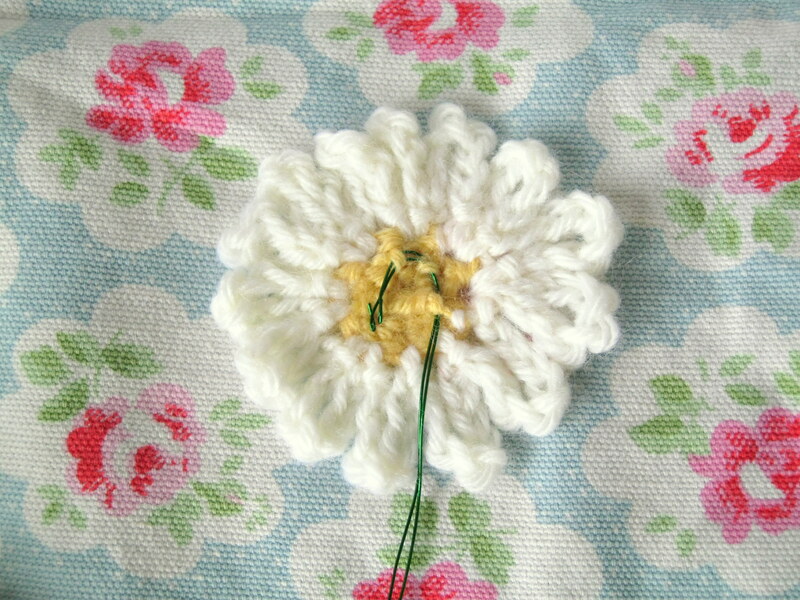 Rejoin white white yarn to the tail of the yellow yarn as close to the flower as possible. Put your hook through the first st on the yellow yarn and pull the white yarn through to create the bottom st. *Ch 8 and ss into the next st. Chain 8 and ss into the same st.* This forms the petals. Repeat from * to * until you have worked your way round the flower. You should end up with 14 petals. Ss the last 8ch into the first st. Fasten off and tidy up the yarn tails (I sew/weave with a sewing needle, into the back of the flower. What do you think? I really like them. I think they look quite sweet. 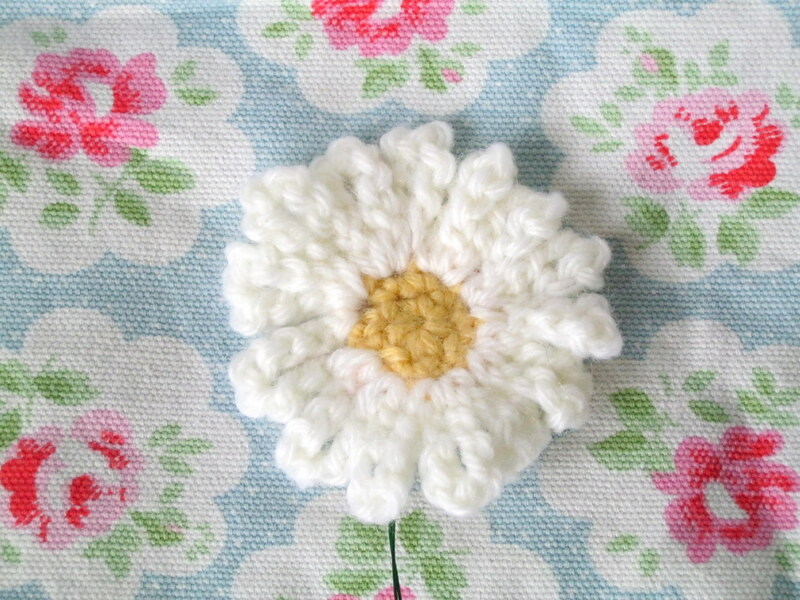 At the same time as working out a pattern for these daises, I also worked out how to crochet little hearts, but that story will have to wait for another day……. They look amazing – well done and I love the idea of using the wire! 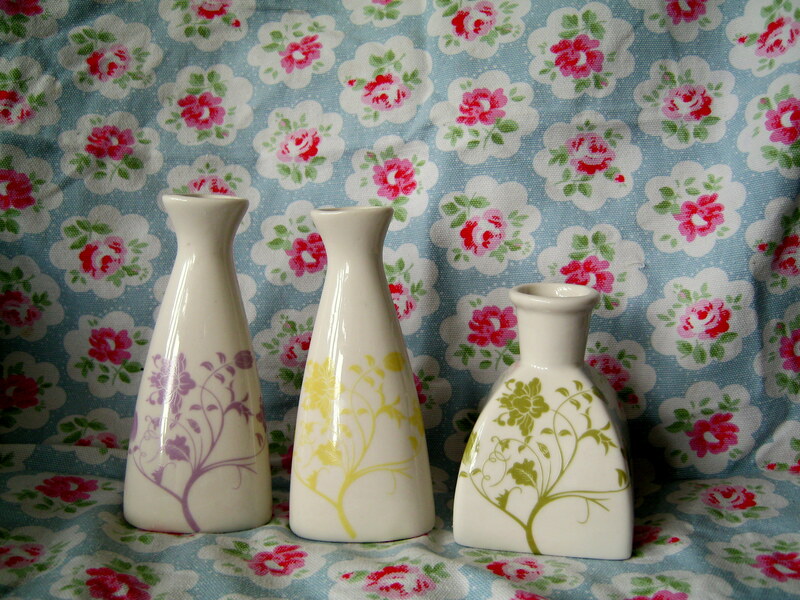 I might make some more myself for my new house! Thank you 🙂 They are very quick and easy (and fun!) to make.